Check out Tobi's Rebecca Diamond Hoop Earrings Tell 'em with hoops. The Rebecca Gold Diamond Hoop Earrings feature a chunky diamond shape and a shiny finish. 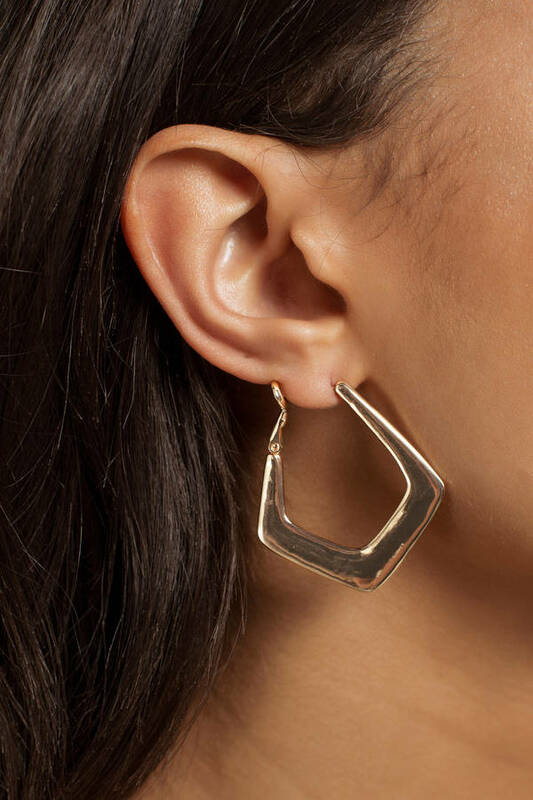 Pair these statement earrings with layers of gold necklaces to complete the look. Tell 'em with hoops. The Rebecca Gold Diamond Hoop Earrings feature a chunky diamond shape and a shiny finish. 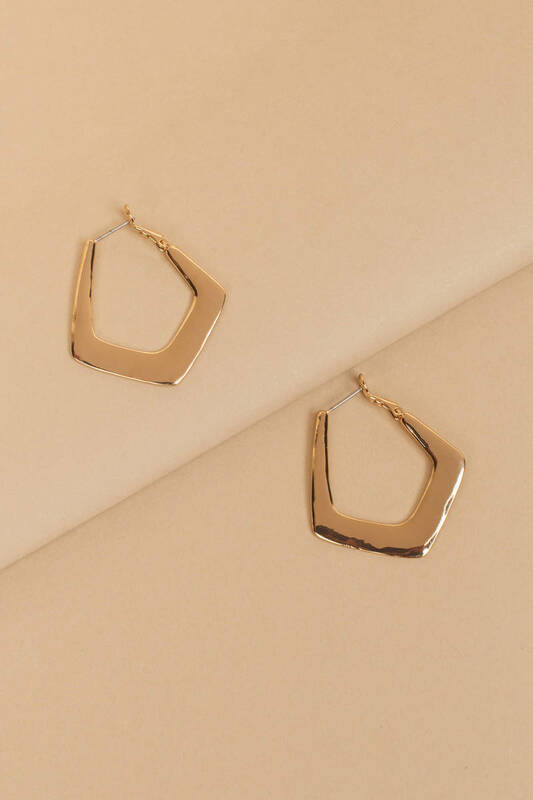 Pair these statement earrings with layers of gold necklaces to complete the look.